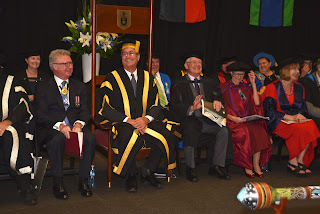 VC - CQUniversity: A celebration of past achievements and those still to come – Farewell Rennie and welcome aboard John! A celebration of past achievements and those still to come – Farewell Rennie and welcome aboard John! We celebrate a significant milestone this week at CQUniversity, as we officially farewell our current Chancellor Mr Rennie Fritschy and welcome our new Chancellor Mr John Abbott. 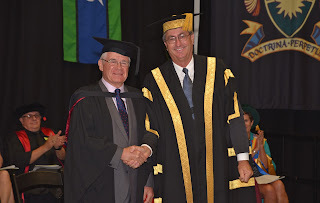 Rennie has served the CQUniversity as Chancellor for 12 years and during his tenure he has made a fantastic contribution to the University and the Central Queensland community. It was during Rennie’s tenure that we embarked upon the Strong to Great agenda. This ambitious plan for reinvigoration and renewal was completely driven by a philosophy of engagement with our local communities. What the Central Queensland region told us was simple; the region needed to diversify its economic reliance on traditional industries and that we needed to act to with urgency to overcome worsening workplace shortages – particularly within the healthcare sector. To do this we needed to switch more people – especially young people within our regions, on to post-school education and close the gap that existed between metropolitan and regional university participation rates - particularly among recent school leavers and students from disadvantaged backgrounds. The University set out to deliver on this social charter and acted upon it as if it were a crisis situation. In the years that followed the University introduced dozens of new programs and reinvented existing courses. To support this more than $200 million dollars has been invested in refreshing existing facilities and building new ones, and we also increased our investment in research, student support, technology and learning and teaching quality. The University also welcomed the history-making merger with CQ TAFE in 2014, which is arguably one of the most significant things to happen in the history of education and training in Queensland. This move also meant we could work across the entire spectrum of post-school education and create synergies between vocational and tertiary education. More than five years after we embarked on this journey the results are becoming clear. CQUniversity has grown to become one of the largest regional universities in Australia, with more than 30,000 students currently enrolled. We now also have the largest geographical footprint of any other university in the country, with 24 delivery sites including campuses, study centres and partnerships with third party university centres in Western Australia and New South Wales. Best of all though, we are Australia’s most inclusive university, with the highest percentages of students from low socio-economic, first-in-family, mature age and Indigenous backgrounds. Importantly CQUniversity now has one of the highest domestic student growth rates in Australia (with 40 percent growth in the last seven years). This is all great news for CQUniversity but it is also great news for the community as this success has and will continue to drive broader social change. 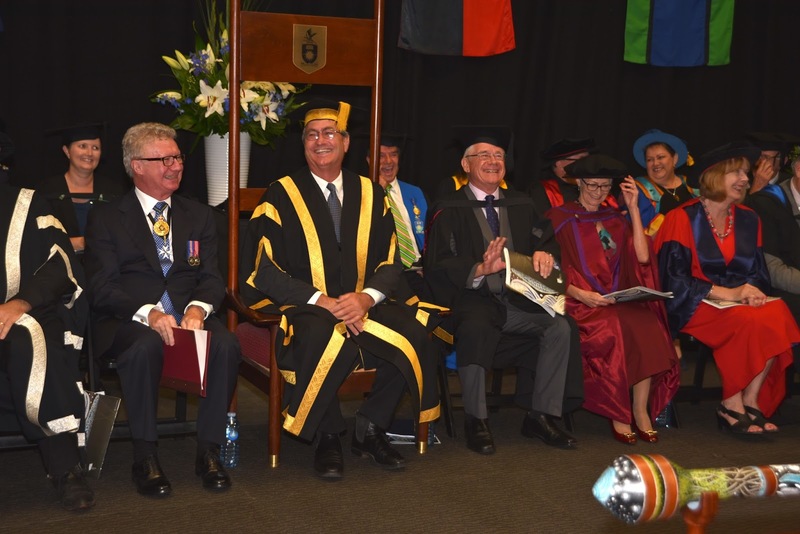 Already we have witnessed the first wave of new health professionals graduate and enter the workforce – many of whom have taken jobs in Central Queensland or within regional and remote communities across Australia. And we are starting to see equity emerge with regards to university participation rates in the CQ region, compared to that of the cities. More of our young people are embarking on securing a trade or a university qualification! We will continue to witness the positive effects of this strategy for many years to come and we must thank Rennie for his contribution and vision related to this. Rennie, on behalf of everyone at CQUniversity and the Central Queensland region I would like to thank you for this valuable contribution! Personally, I would also like to thank you for being a fantastic friend and mentor. I hope your retirement heralds an exciting new chapter in your life and I wish you and Noelene all the very best for a happy future. And to our new Chancellor, Mr John Abbott, I look forward to working with you starting from next Monday. You have already made a considerable contribution to the University over many, many years, first with your involvement at CIAE and now as a member of Council, so I have no doubt you will continue to influence positive outcomes for the University. 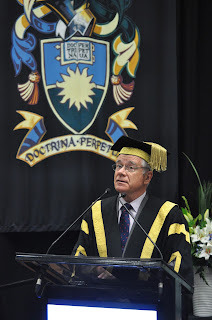 The most exciting thing though, is that you will provide leadership to the University during our next phase of growth and importantly play an instrumental role in CQUniversity emerging as one of Australia’s great universities.